Disney just can't wait to be king of the streaming world, announcing on Tuesday an aggressive move to pull all of its content from Netflix and start its own streaming platforms. The Walt Disney Company says that it will start its own Netflix-style streaming service, set to launch in 2019. The platform will host Disney and Pixar movies and a selection of Disney Channel TV programs. And just like other streaming services like Netflix, Hulu and Amazon, Disney will also be making a "significant investment" in creating original content exclusively for the platform. Disney also said it plans to launch a separate ESPN-branded service that will host an assortment of sports programming. The platform will run on an app that the company hopes will become the "premier digital destination" for all sports fans. The news follows Disney's majority-share acquisition of BAMTech, a streaming technology and marketing company it first bought one third of last year for $1 billion. 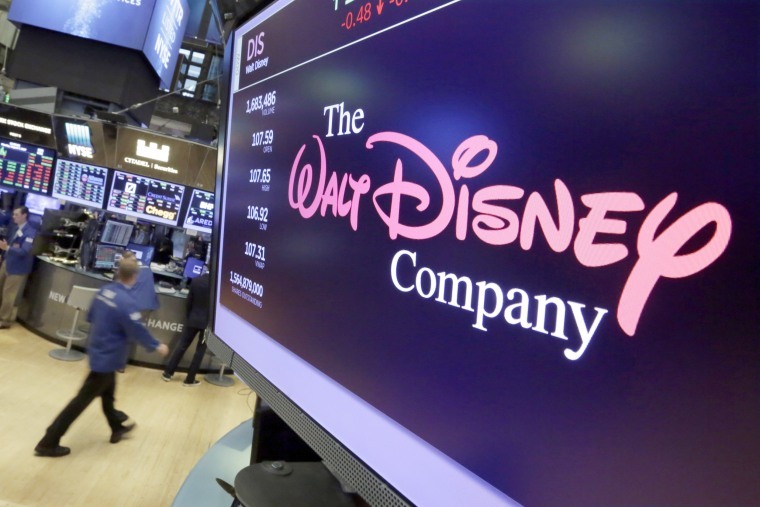 Disney said Tuesday that it purchased an additional 42 percent of the company for $1.58 billion. "The media landscape is increasingly defined by direct relationships between content creators and consumers, and our control of BAMTech's full array of innovative technology will give us the power to forge those connections, along with the flexibility to quickly adapt to shifts in the market," Disney Chairman Robert A. Iger said in the release. The move means all of Disney and Pixar content will be gone from Netflix by the end of 2018, before its platform is set to launch. All new content, including "Toy Story 4," a sequel to 'Frozen," and a live-action adaptation of "The Lion King," will be available only on the new Disney subscription service. Netflix shares plunged more than 5 percent following the announcement. A spokesperson for the company was not immediately available for comment.